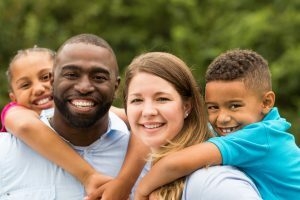 The mixed-race population has increased by 32% over the last ten years, yet the bulk of psychology research has not studied this population and how they may differ in their behavior and racial perceptions from their monoracial counterparts. In fact, as of the year 2000, 1 in 40 Americans identified themselves as multiracial (Lee & Bean, 2004), with 70% of the multiracial population being under 35 (U.S. Census Bureau, 2001). It is anticipated that this multiracial population will increase to around 21% of the general population by the year 2050 (Smith & Edmonston, 1997), demonstrating how important it is for people in today’s society and in research to begin focusing on not only how people from multiracial backgrounds develop and feel, but how others perceive them as well. To address this problem, the Identity & Diversity Lab explores the experiences of both monoracial and biracial/multiracial individuals as a way to pinpoint how long-term vs. short-term contact may affect our various social behaviors, perceptions and expectations of others. We plan to examine the fluid like nature of biracial or multiracial people’s racial identities and how having flexible racial identities may be a benefit for this growing population. In the future, we will compare having multiple racial identities to having multiple social identities more broadly as an avenue for comparing monoracial and mixed-race populations. Albuja, A.F., Sanchez, D.T., & Gaither, S.E. (in press). Identity questioning: Antecedents and consequences of prejudice attributions. Journal of Social Issues. © 2019 Duke Identity & Diversity Lab. All rights reserved. Duke Identity & Diversity Lab is powered by WordPress at Duke WordPress Sites. Please read the Duke Wordpress Policies. Contact the Duke WordPress team.